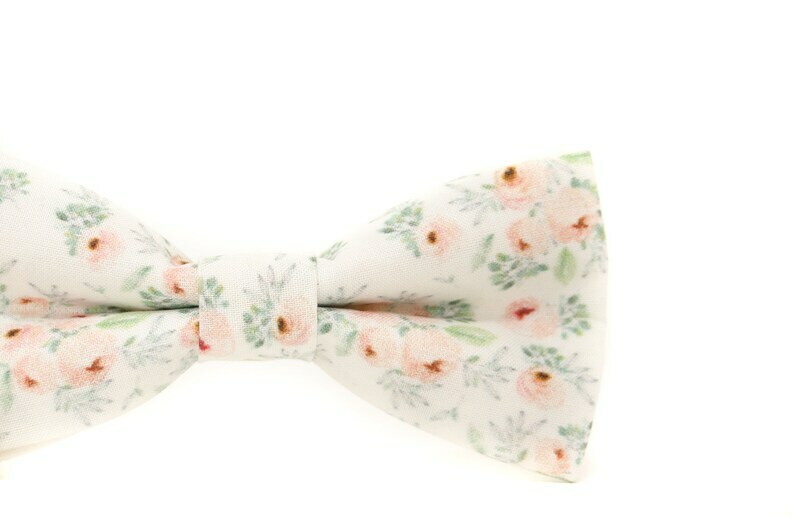 Your little guy will be the talk of the party when he arrives sporting this stylish floral bow tie! It features shades of blush pink, sage, and gray. Bow ties are the perfect accessory for groomsmen, ring bearers, page boys, matching Dad and Son outfits, or family pictures.